Whether you are in Gateshead, Tyne and Wear, or anywhere else in the UK, you need look no further than Northern Floorcraft. Our high quality workmanship, commitment to excellent customer service, decades of experience, and huge range of flooring types and styles is hard to match. We know what it takes to work with individuals, and treat all such customers with the respect they deserve, but we can also mix it with the big boys and hold several commercial contracts too. WHAT MAKES US THE BEST CARPET FITTERS? 5. We are knowledgeable and experienced - it it’s a tough job, we want it! 10. Our pricing is honest and transparent - no nasty surprises! You don’t need to compromise when it comes to getting your floors fitted. At Northern Floorcraft, we have a proven track record of delivering the highest quality products as well as offering trademark customer service. Based in Gateshead and Tyne and Wear we have experience of catering to the needs of both individuals and businesses since 1973, and are proud to receive a high percentage of repeat customers over the years due to our superb service. At Northern Floorcraft, we offer a highly extensive range of flooring types, and ensure that the solution we provide for you is perfectly suited to your needs. At our showroom in Gateshead we boast a range of over 1000 examples of flooring types. Customer satisfaction is our top priority; we will work with you to help you ascertain which floor type you need and install it efficiently, at the lowest possible price. We have over 40 years of experience providing flooring for our commercial and domestic customers, in Gateshead, Tyne and Wear, and beyond. We know exactly the kind of efficient and cost-effective service that business demands, and our friendly flooring specialists are well-known for their personal touch when dealing with individual customers. We have carefully built our reputation for great service, fantastic service, and low prices, and we are proud of that. With the extremely talented team at Northern Floorcraft, you are guaranteed a fully professional, expert fitting and extensive knowledge of a wide variety of flooring types. If it’s a really tough job, come to us! Every member of the team is industry trained to a high level, and we have build a strong reputation nationwide thanks to our great service, customer satisfaction track record, and transparent pricing. If you are just at the enquiry stage right now and would prefer to get a general guide on which flooring type is best in which situation, we’ve got you covered. You can use the tool below to find out exactly which flooring we recommend for each room. If you like the suggestions, we invite you to get in touch with us so we can discuss your needs in more detail. Despite often being the forgotten aspect of a room once it is installed, a high quality carpet can speak volumes about a room, as well as offering comfort and warmth. Carpets installed by Northern Floorcraft in Gateshead, Tyne and Wear, and further, are all subject to our relentlessly high standards of efficiency, workmanship and service. 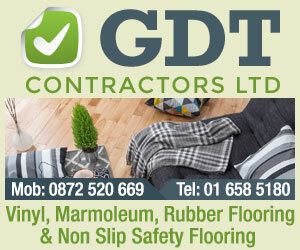 We boast one of the largest ranges of flooring in Gateshead and Tyne and Wear. Northern Floorcraft is your one-stop shop for vinyl flooring, luxury vinyl tiles, and linoleum flooring. No job is too difficult for our experts. If you aren’t certain what you want, or what would be the ‘best’ type of flooring in your situation, our friendly team will be more than happy to share their expertise and help you decide! Alternatively, you can try out our helpful new flooring tool. At Northern Floorcraft, we offer a huge range of types of flooring for commercial customers. Commercial vinyl flooring and commercial carpets are just two of the many kinds of commercial flooring available from us. We are based in Gateshead and Tyne and Wear – arrange a consultation and we can visit you to discuss your requirements. Even if you aren’t sure what you need, our friendly experts can help you to narrow down the choices at your disposal. For anymore questions or enquiries please Contact Us! Northern Floorcraft supply and install all types of flooring, suspended ceilings, partitions, and specialist interior systems, tyne & wear, nationwide.